Get the inspiration for your new look at H&M. Fashion and quality meet with affordable pricing at this Swedish retailer. European styling will make your closet fresh and fashion forward. 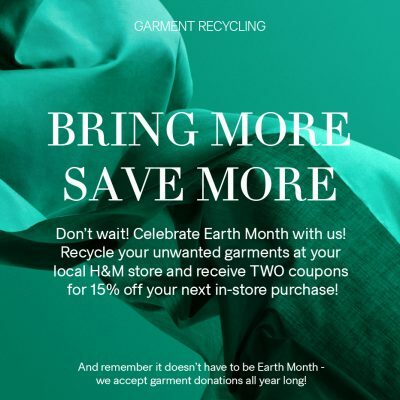 Receive two discount cards for 15% OFF your next in-store purchase at H&M from Monday, April 1st until Tuesday, April 30th! 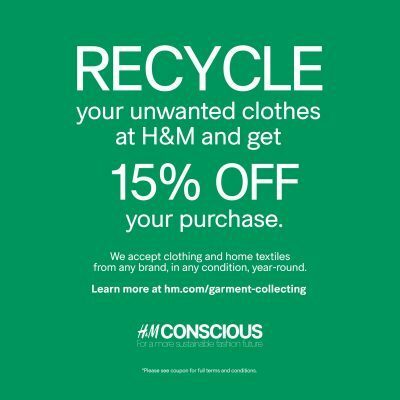 Bring in a bag of unwanted garments for recycling and receive a 15% OFF your purchase at H&M all year long!